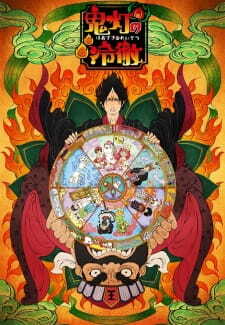 The fourth OVA episode was released approximately 19 months after the first three episodes, along with the announcement of a new TV anime for the series. Both the new OVA episode and the new season are animated Studio Deen, rather than Wit Studio. What I love the most about this anime is it art..Absolutely fantastic...It was really clever incorporating ancient Japanese art.